We’ve all heard of the sharing economy and the gig economy, but a new business model is quietly introducing itself across many consumer-facing industries. It’s an extreme form of the convenience economy that I like to term the “lazy economy.” The term is somewhat tongue-in-cheek, but there’s some real implications in these nascent business models for CIOs. As you might expect, the lazy economy is characterized by hyper-convenient products and services that go the extra mile for the customer. To point, in fact, where subscribing to these services as a consumer may trigger surprise from more proactive, do-it-yourself (DIY)-oriented friends. A few examples include the drone that delivers coffee to you when it detects you’re looking tired (patent stage), food delivered into your fridge while you’re out, robotic mowers that cut your garden, and gas refueling services that deliver fuel directly to your car. You could add dog walking services to the list as well. What makes these models interesting is that these are all minor tasks which we could – and arguably should – carry out ourselves. They can usually be completed within a couple of minutes or up to an hour. While the tasks are minor, they’re typically solving widespread or even universal tasks or chores that consumers may face daily or weekly. As you might imagine, the numbers are highly favorable for VCs and startups to pay close attention to and explore the possibilities. For example, dog walking services are a $1B industry in the U.S. alone. So, if you’re a CIO in a consumer-facing industry, why should you care? These new “lazy economy” business models are important because they’re ushering in a new level of customer experience, one that’s hyper-convenient and requires minimal action, if anything, on the part of the consumer. In fact, if the customer doesn’t have to lift a figure or move a muscle, that’s a great – although extreme – example of a lazy economy business model. In a way, this is a natural evolution and progression of digital transformation: having long-solved easy items such as digitizing books and movies, we’re now moving into the few remaining tasks and chores yet to be fully explored and transformed. 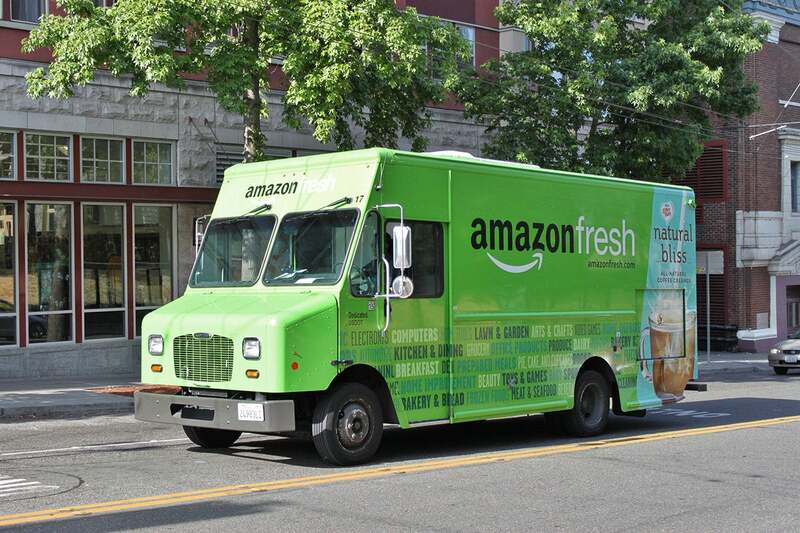 Organizations are now experimenting with optimizing the boundaries and end-points of the customer journey, such as going from door delivery, to inside-the-door delivery, to fridge delivery as in the grocery example. While you often think about minimal viable products, this business model takes a similar approach with customers by asking what is the “minimal viable action” that consumers can take to experience this service? When we think about customer-centricity, this is about as customer-centric as it gets. While many of these business models aren’t rocket science, there’s something admirable about how they attack a known, precise problem, no matter how small or trivial, at a massive scale. In addition, while they may appear trivial to some, for others they are a real life-saver. Dog walking for the frequent road-warrior or the physically-challenged, car refueling for the stranded motorist, grocery delivery for the elderly and so on. The main implication if you’re in a consumer-facing industry, is that the bar is rising yet again around the customer experience. You can expect the lazy economy to change customer expectations about the level of effort they need to take to interact or transact with your product or service. It’s important to continually look for ways to raise the bar on customer convenience. What are the steps you could take to go the extra mile or the extra yard? What are the boundaries and end-points of the customer journey that you can innovate around? 2. Changing the paradigm: Why go there if they can come to you? The second implication is that since these services operate at the business model level, they often completely change the paradigm in terms of how work gets done or how the service gets delivered. As an example, why go to the gas station when you’re low on gas, when the gas station can now come to you? It’s important to ask these same questions of your own services and challenge the status quo. What could be changed in your business model and your processes to make the customer’s life more convenient or even hyper-convenient? 3. Fueling new ideas: What can we learn from the lazy economy? The final implication is that the characteristics of lazy economy business models can help us unlock new ideas. By analyzing the characteristics of these models, you can often think differently about your own customers and create an even greater empathy and understanding of their needs. In your next ideation session, try thinking about this business model and exploring ideas for your own organization. Since lazy economy business models go the extra mile (or the extra yard) for the consumer, they often run up against privacy, security and safety concerns. For example, would you trust a delivery service to enter your house and put food in your fridge while you’re out? (solutions are being proposed such as body cams). As you explore the art of the possible around the lazy economy, it will be important to ensure safety and security is a forethought rather than an afterthought since these may be some of the main barriers to success.